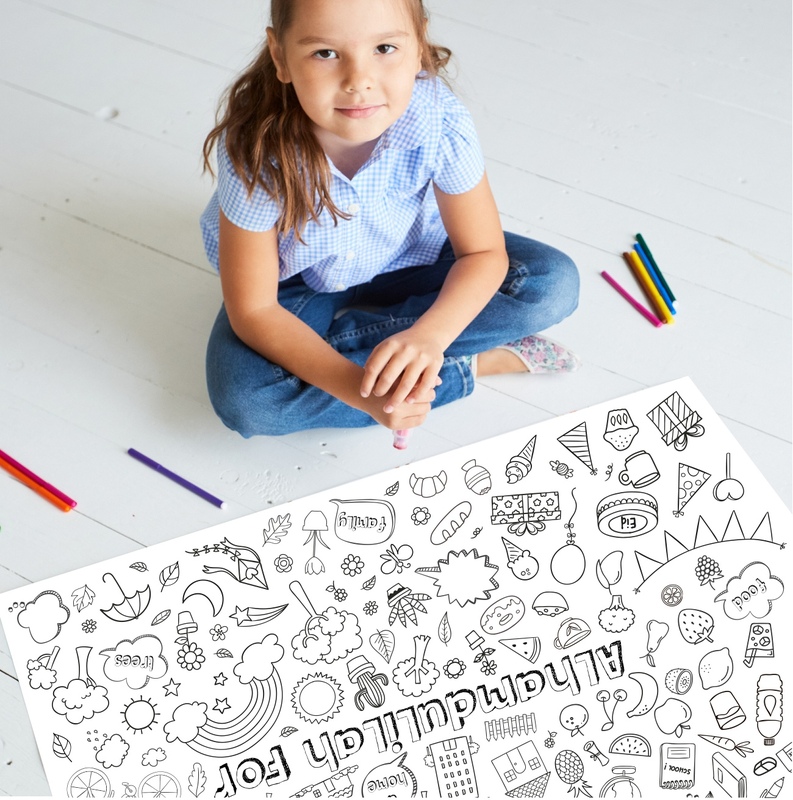 A wonderful colour in ‘Alhamdulilah For’ canvas art activity for kids. Lots of lovely thing to colour in, that you can be thankful for. Also a few blank areas where your child can draw or write things that they are grateful for. Perfect for rainy days, parties and simply keeping kids creatively busy whilst having fun.